Loving. This two-syllable combination of sounds is inextricably tied to the description of a positive relationship between two human beings. Normally, when describing a certain ‘Loving Day’, one would assume that the occasion in question is Valentine’s Day. However, when this day falls in the month of June, the focus is on a different Loving—namely Richard and Mildred Loving, the interracial couple whose fortuitous name not only acknowledges the nature of this sentiment at its core, but also celebrates a certain facet of American history. On June 12th, 1958 Mr. and Mrs. Loving won the Supreme Court case Loving v. Virginia. 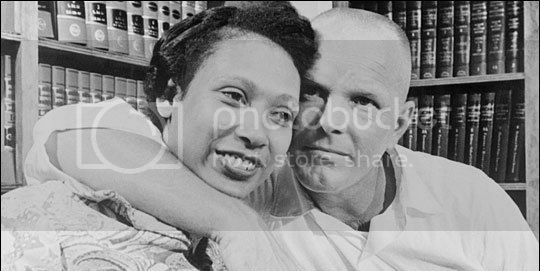 This case not only ensured the legitimacy of their marriage and the stemming of legally facilitated prejudice against the couple, but also legalized interracial marriages for couples across the United States. A legal fight that lasted nine years, the Lovings’ eventual win was pivotal in the civil rights movement. They paved way for interracial couples of all types of ethnicities to enter into legally recognized relationships and since then we celebrate Loving Day each year on June 12th. Now jumping from 1958 to 2013: what does an interracial relationship mean today? While thanks to the Lovings, interracial couples no longer have to suffer the burden of legal persecution, certain stereotypes associated with the interracial dynamic have surfaced, and in the spirit of Loving, they definitely need to be examined. With the endless possibilities that accompany dating someone outside of one’s ethnic or racial group, certain tropes have formed that associate characteristics with certain skin-colors. With the black gangster comes the hardworking white financial type; with the Asian tech-guru comes the spicy Latin lover. While wildly simplified, overly stereotypical and sometimes just downright offensive, these are undoubtedly the images being subliminally communicated through the media and pop culture. A quick glance at your television will give confirmation. From deciding who to date to picking a life partner, when this associative narrative is so ingrained in the way we think, it becomes only natural to see specific races as suited to certain relationships. As a result, women are accosted with notions that certain races are more worthy than others for romantic relationships and even marriage, which ultimately feeds back into the hierarchical notions that this country has fought so hard to dismantle. From here, the question then forms: in this day and age, where the wholly simplified typecasts of the black gangster and the hardworking white financial type continue to thrive, are we actually promoting interracial marriages or just finding a new way to say that lighter and brighter is better? At the core of this issue, and perhaps its most the heartbreaking element, is that while these stereotypes deal with the premise of interracial relationships, they don’t really tell us anything about interracial love itself. In actuality, it seems that the purported superior stability of white husbands is more of a reflection on the American public’s intense fascination with physical appearances. To really address the underlying matter, it needs to be acknowledged that interracial love is no more different that love between two individuals of the same race. To allow these social stereotypes to thrive is not only to perpetuate a culture of racial hierarchies, but also to take us further way from the topic of love, which is at the core what Loving Day is all about. A rising junior at Columbia University, Oluremi Onabanjo is working towards a degree in African Studies and Political Science. Having spent most of her childhood divided between the African continent and the United States, Oluremi is fascinated by the linkages in the black African and African-American experience, especially as revealed through the interaction between political structures and cultural movements. Follow her on twitter @RemiOnabanjo.